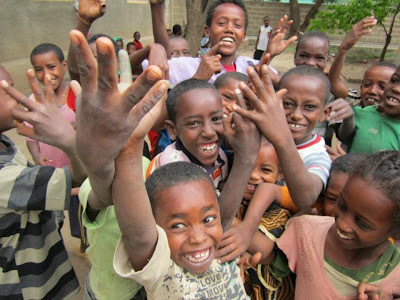 In August we brought you the amazing news about the opening of the Youth Release youth center in Dire Dawa. I am sure you are wondering what happened next? Now that the doors are open what happens? 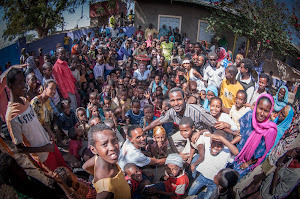 Opening a youth center in Ethiopia is no easy task but we have a great team on the ground who have helped us put it all in place. Our local team worked with the government and local community leaders to select the most vulnerable children in the community. By most vulnerable I mean children who have never had schooling, whose parents have died, children who work to survive and children who need support. By the end of August, 250 children were coming to the youth center. For many of these children, it was the first time they had a place to go where they could meet friends, play and just enjoy being kids. Our team introduced them to a number of new games like cat and mouse, duck and goose and other children's games. 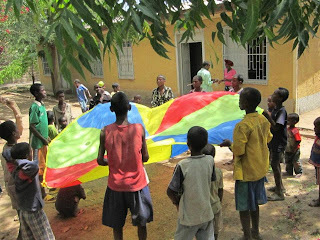 For the first week , the children played games and got to know the staff at the youth center. In September each child was registered, this is an essential part of the project so that we know what children attend on a regular basis and their background information. September was very exciting for a lot of these children, each child that attends the youth center is given the necessary school materials so that they can attend our non formal education classes. 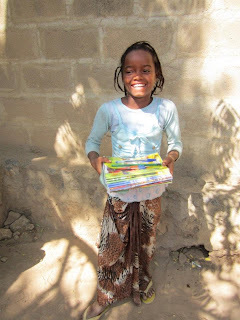 Each child receives an equal amount of supplies so that each child is equal to the next and no child feels left out! For many of the children we work with, this is the first time they will have basic school supplies to call their own! It's safe to say there were smiles all round. Next step is to start vocational training for the older kids and start counselling services for all kids. It is important that we do this slowly and don't overwhelm the children. 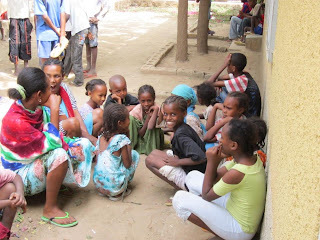 We are making great progress and most importantly the children are receiving schooling and much needed support. Just look at their happy faces! *If you would like to help us support these children, we are looking for volunteers to do a sponsored Christmas day swim, if you are interested please email youthrelease@gmail.com or face book us!